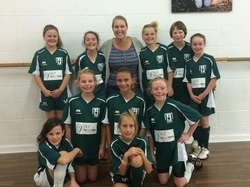 As part of a vibrant active community Vibe loves to sponsor one of our local Soccer teams. Not only does it allow us a chance to have a favourite team and see our logo in action, it also gives each team member a chance to have their name printed on the back of their kit, which is great for supporters to shout for individual players. This photo is of Sammy from the Miss Deaf Pageant in Prague 2012. Our very own Miss Apryl Curtin choreographed her Dance Performance piece and she scored perfect 10s, which played a huge part in her being crowned Miss Deaf Australia in 2012. This year Sammy is representing Australia and competing in Miss Deaf International 2013 in Bulgaria, Sofia. Apryl is again choreographing her performance piece and hopefully with their two talents combined Sammy will score perfect 10s again and go on to win it all! Good Luck Sammy, we wish you all the success in the world!